Who's Afraid of Anglophone (Cameroon) Theatre? Forthcoming: Inter’Actuel, 2006 (ed) Professor Robert Fotsing Mangoua, Universite de Dschang, Cameroon. SESEKOU’S entourage is distraught. When rumours circulated, in 2002, that the old man had passed on during a heart surgery in the U.S that cost the family 50 million FCFA, the Presidency, promptly, suspended the roving ambassador’s stipend. It was never reinstated until his death, in Easter, 2005. And now this: The children are angry that their father "would not have died" but for the "combination of blunders" at the Yaounde Referral Hospital. 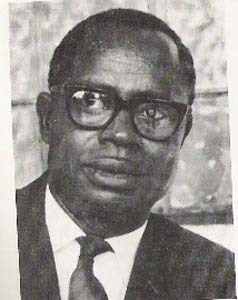 V. E. Ngome’s What God Has Put Asunder (1992) can be considered as a successful attempt at producing valuable information about Cameroonian society and, also helping to bring about change since it records the history of the colonial, imperialist intervention on the individual psyche and society at large.